The Insurance AI & Analytics Summit, on June 27 – 28 in Chicago, brings together data, analytics, underwriting, claims and marketing experts from leading insurance carriers. Over 150 executives have confirmed their place already! At the Insurance AI & Analytics USA Summit, you’ll be able to build a roadmap for launching AI and machine learning across your business and most importantly, integrate machine learning and AI to work with existing processes. This means you will walk away with a list of both the critical things you and your organization need to do, and more importantly, how to design and implement these changes. Just remember – this is the only event of its kind and by attending you’ll get a tremendous head-start on competitors in terms of learning and networking when it comes to AI. Insurance AI & Analytics USA Summit (June 27th & 28th, Chicago) is the largest insurance analytics conference in North America! Check the delegate snapshot to see who’s joining already! 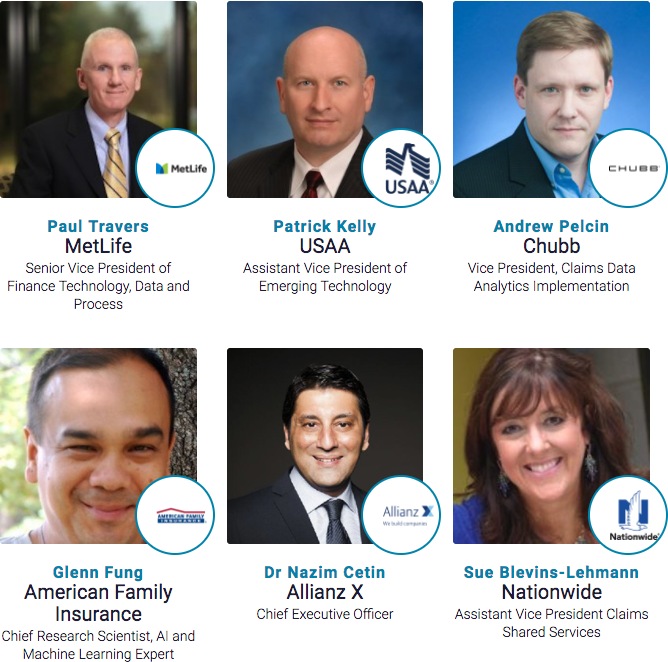 Request your AI & Analytics USA Summit brochure and get updates as the event develops.